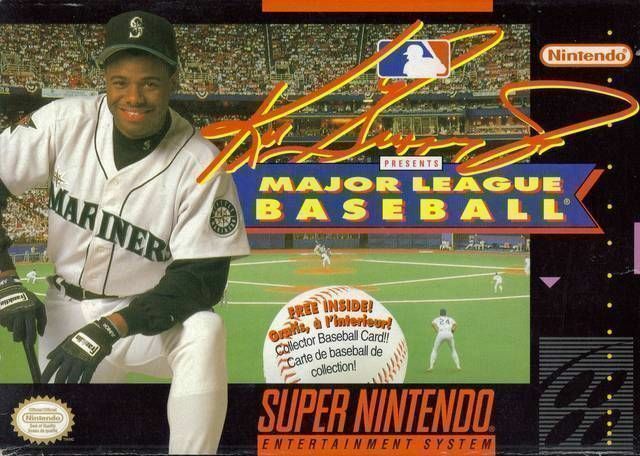 Ken Griffey Jr. Presents Major League Baseball for Super Nintendo allows you to play with or against all 28 Major League teams in their actual stadiums. When you have selected a team, you can take on the challenges of a pennant race in a 26, 78, or 162 game season. For 1-2 players.